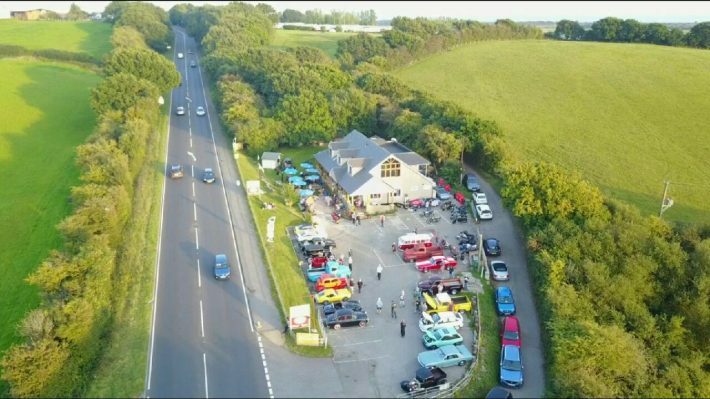 The Custom Cafe has become a real haunt for bikers in the South East because of its fantastic location; just off the A259, there’s some epic routes to be ridden before pit stopping at the Custom Cafe. All are welcome to the Cafe – dogs, walkers, cyclists, families and most importantly, bikers. During the summer months you’ll often see lots of bikes parked in the car park – you know that’s a sign of some decent grub! The menu offers cooked breakfasts and hearty food to keep you fueled for a day of riding. Always be sure to check out the specials menu for the week, and also ask about veggie options too! “Bike Nite” is every Friday night from 6pm until 10pm (throughout the summer months), it’s the perfect way to kick start your weekend! Be sure to keep up with their Facebook as they regular post updates and upcoming biking events! Rate the Custom Cafe now!